Rescuers had to send in a special camera to find him. 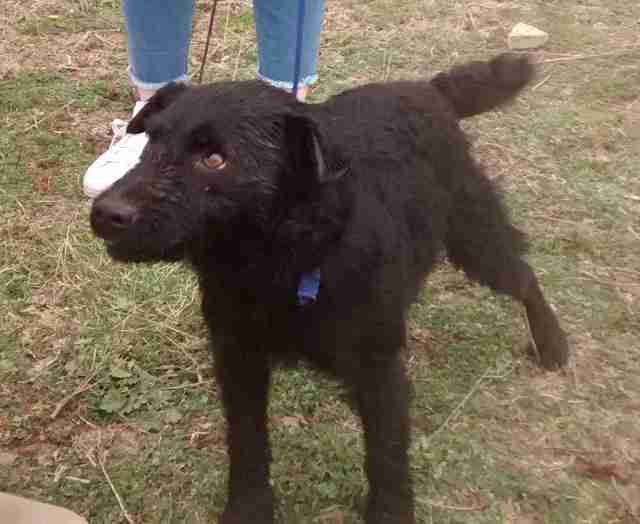 Jet and his dad, Jamie Taylor, were out for a walk late one night near their home in South Yorkshire, England, when he got loose and ran into a nearby drain pipe - and ended up getting himself a little lost. Taylor frantically called out to Jet and tried to coax the 16-month-old puppy back out to him, but with no luck. He soon realized he was going to need some help, and contacted the RSPCA for assistance. "He called our emergency line shortly before 2 a.m. but we knew we wouldn't be able to help until daylight, so I went along first thing in the morning and called for the fire service's assistance on my way," Joanne Hartley, an RSPCA inspector, said in a press release. Once the RSPCA and the fire department arrived, they realized they were going to need even more help to rescue little Jet. 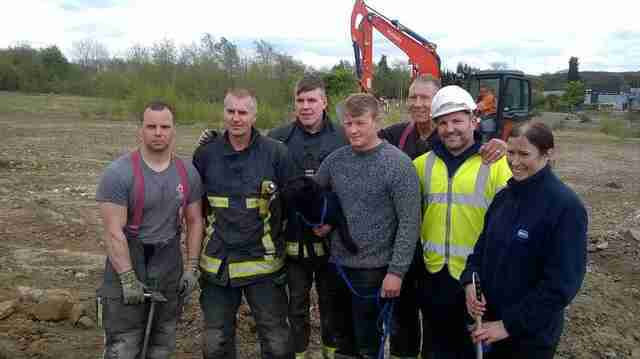 They called the local water company, Yorkshire Water, along with a construction company to come and help. "It was an absolute nightmare," Hartley said. "The pipe was about 10 inches wide and is part of the old brickworks site, which is the size of around two or three football fields. We could hear Jet barking and whimpering, but we had no idea where he was located in the pipes." 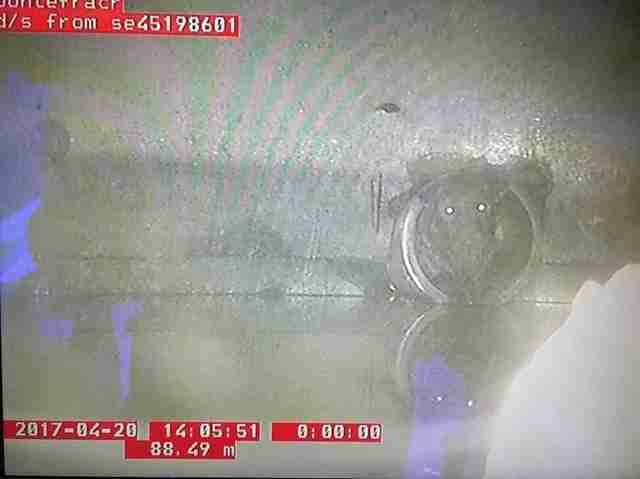 In order to try and pin down exactly where Jet was inside the pipes, Yorkshire Water sent a camera down into the pipes, and eventually found Jet about 100 yards away from where he originally went missing. 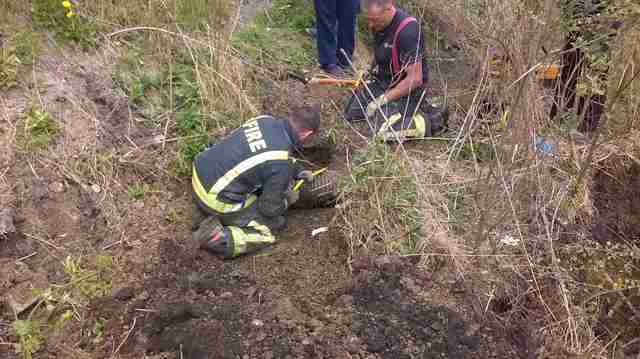 He was trapped in a pipe connected to a buried manhole chamber, and so rescuers were able to uncover the manhole, giving them easier access to rescue Jet. "The piping runs around four feet to six feet underground, so we had to dig around 10 trenches down to the pipe to see if we could reach him," Hartley said. 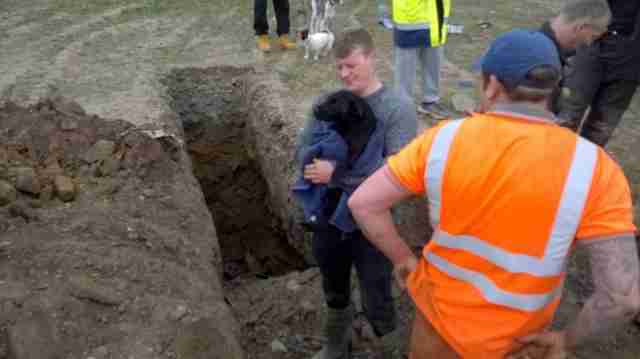 Eventually, six hours after the rescue started and almost a day after Jet initially went missing, the little dog was finally freed from the pipes and reunited with his dad, who had been insanely worried about him. "Jet was really shaken at first, but now he's back to his usual self," Taylor said in a press release. "I'm really thankful to everyone who worked so hard to make sure Jet was freed." It took four different organizations to rescue Jet, and without all that teamwork and determination, the little dog may have never found his way out of those pipes. "All the agencies involved were willing to work as long as it took to free Jet and I'm so glad we were able to release him safe and sound," Hartley said.